The government has decided to do away with multiple engineering entrance exams in the country and hold one single entrance for all major colleges from year 2013. The new exam will be known as Joint Entrance Exam (JEE) and will be conducted in two parts. Admissions into all IITs, NITs, IIITs & other centrally funded technical institutions (CFTIs) will be done through this single entrance exam. The states may also opt to take admission in their state colleges through this exam. WHAT IS THE SCHEME OF JEE? 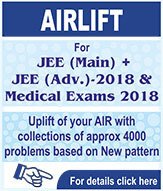 Joint Entrance Examination (JEE) from the year 2013, for admission to the undergraduate programmes in Engineering, will be held in two parts- JEE-Main and JEE-Advanced. The exam will be held in 1st week of April every year & more than 10 Lakh students are expected to participate. It will be a 3 hr. objective type test with equal weightage to Physics, Chemistry & Mathematics. Students wanting admission in B. Arch. courses will have to also appear in a 3 hr. aptitude test. There is provision for negative marking. The number of attempts which a candidate can avail shall be limited to 03 in consecutive years. A candidate can opt for offline or online exam. The exam will be held in 1st week of June every year. 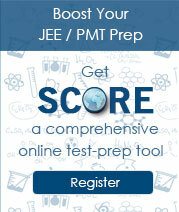 A candidate must rank in top 150000 in JEE Mains to be eligible for JEE Advance. Also, only those students will be allow to take this exam who are in top 20 percentile of their respective Boards. There will be 2 papers each of 3 hr. duration, consisting of separate sections in Physics, Chemistry & Mathematics. Questions will be of objective type, designed to test comprehension & analytical ability. WHAT IS ADMISSION CRITERIA FOR IITS? 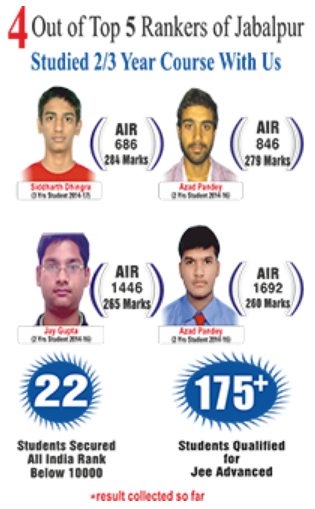 Merit list for admissions into IITs and ISM Dhanbad will be prepared only on the basis of performance in JEE Advance. Performance in Board exam and JEE Mains are only qualifying criteria for JEE Advance. WHAT IS ADMISSION CRITERIA FOR NITS, IIITS & CFTIS? 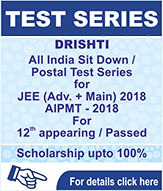 Merit list for admissions into NITs, IIITs and other CFTIs will be prepared only on the basis of performance in JEE Main and Performance in Board exam. In deciding the rank 40% weightage will be given to normalized Board score (class 12th) and 60% weightage will be given to JEE Main score. Other private Institutes may also take admission through JEE -Mains however, they can increase the weightage of board score. In case any State opts to admit students in the engineering colleges affiliated to state Universities & requires separate merit list to be provided based on relative weightage adopted by the states, the list shall be prepared with such relative weightage as may be indicated by States.